Usually, to replace your sewer line means you must dig up your lawn and landscaping, and bust up the concrete. In other words, it disturbs the area around your house or business. The good news is there is an alternative to all that digging. It’s called trenchless digging. Although “digging” is still part of trenchless digging, little excavation is actually involved. Trenchless digging lets you fix or replace hundreds of feet of underground sewer line without ripping out trees or your lawn. You don’t dig a trench or big hole. And you don’t dispose of everything in the way of the sewer line. Cost savings: Trenchless digging is generally less expensive. Less disruptive: Less time is spent in disruption and replacement. With trenchless repair, only a couple small holes are dug to reach the sewer lines. These are easily filled in when repairs are complete. More timely: It takes less time to get your sewer line working properly. This is especially important for business owners because time closed equals lost income. In fact, you often can be up and running in one day. Better pipe: The installed pipe is corrosion–resistant and seamless. That helps stop roots from burrowing into it. It also means a smoother water flow. Easy access: If later repairs are needed, your service provider would reach the pipe through one of the two original holes used to install it. 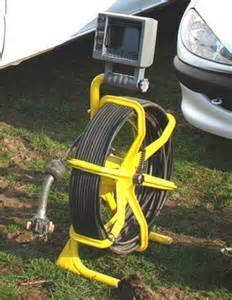 Trenchless digging could be the answer to your sewer line problems. Give us a call at Eyman Plumbing at 402-731-2727 to set your appointment. We can help.